In 2015, the United Nations (UN) member countries adopted a set of universal goals with the intention of shifting the world toward a more sustainable and resilient path by the year 2030. 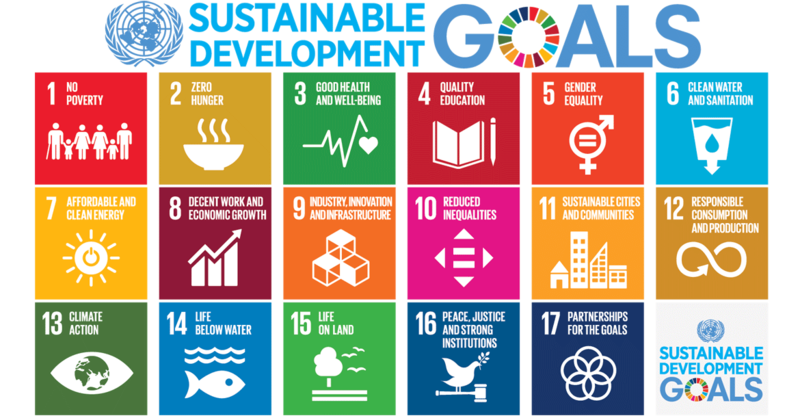 The new sustainable development agenda identifies 17 Sustainable Development Goals (SDGs) which target economic, social, and environmental development. The goals intend to end poverty, protect the planet, and ensure that no one is left behind. The work of community foundations already connects to many of the 17 SDGs. As part of an international philanthropic movement, community foundations have an opportunity to further leverage our knowledge, partners and activities such as Vital Signs in common purpose with others — connecting our efforts locally to a broader vision. to improve the world around us. We are excited to share that starting in 2019, we will be asking how the work that is being done through your Foundation’s grants to community agencies, is impacting or supporting the United Nations Sustainable Development Goals (SDGs). This is not a big new direction for us, and we’re not asking grant seekers to realign their programs. We would simply like to be able to report our community’s efforts in relation to these global sustainable development goals. To make this happen, in 2019 we are asking all grant applicants for Kids to Camp and Community grants to identify in their grant applications whether their project or program already supports one or more of the SDGs. Grant decisions will not be affected by the information reported. We fully expect to find that all the funded programs and are a good fit with the SDGs. We just need help identifying which SDGs are the right ones for each program. Our goal is that by the end of 2019 we will have the data to illustrate how the Cambridge & North Dumfries Community Foundation, along with our community partners, have had an impact, and helped to move the needle, on the UN Sustainable Development Goals.